A family of 2 adults, 3 children and 3 cats living life to the maximum on a frugal budget, this is what we do and how we do it! Happy Christmas to all my readers, I hope you have a good day! Only three weeks left to Christmas eeeek! Has everyone got everything ready? I haven't as yet in fact my tree is not yet up or a single Christmas card written. Pixie has a part in Nativity so I'm looking forward to that next week and Peaches is taking part in the Christmas service in church too so we have so much to look forward too and enjoy. Hopefully these things will make me feel festive because as of yet I don't. It's a bit nippy here today when I came home from work at lunchtime I enjoyed homemade spicy tomato soup from the freezer packed with veg, herbs and spices. It worked a treat at thawing me out lol. The light is now fading, the night will soon be drawing in. The candles on the hearth have been lit and a mug of tea at my side. Jack Munroe "A Girl Called Jack"
My sister recently gave me the cookery book titled "A Girl Called Jack", a book written during a time of unemployment where she had just £10 a week to feed herself and her son. During a time where being a bit extra frugal is much needed for us at the moment, this book has been really helpful. It has helped me to re think my cooking strategy and by making small tweaks I find I am utilising what I do buy to the maximum and less waste is being created as a result. I am also using my slow cooker more and more and trying out new recipes in it most weeks. A slow cooker really is a blessing to a busy family, a hot nutritious meal ready and waiting for you when you come home from work tired and need to be back out in an hour on the after school club run. 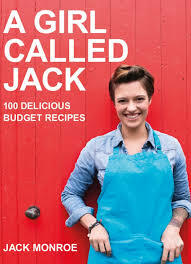 Has anybody else read this book or tried the recipes? I've been thoroughly embracing my library recently and reading a book a week (I know I'm surprised I've found the time too!). I like to expand my mind and read both fiction and non fiction. 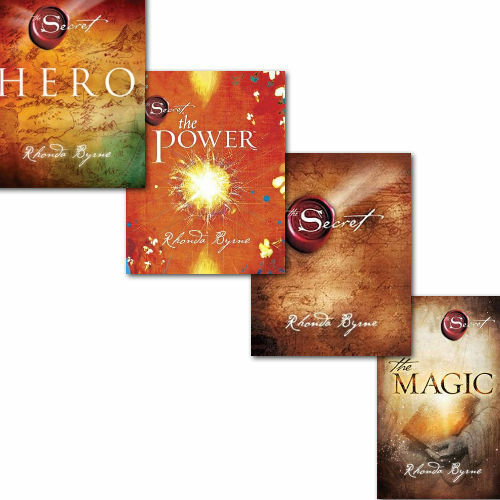 I've recently finished 3 books by Rhonda Byrne called "The secret", "The Power" and "The Hero". I found them really hard to put down and recommend them as easy to read. They offer a different perspective on life and are all about the laws of attraction. Has anybody read these books? What did you think about them? Feel free to chat in the comments. Today I thought I would share my weekend prep that I do to ensure the weekdays (which are hectic during term time) run smoothly. The weekend here starts at 4pm Friday, the washer goes on the first load contains lunch bags on a short wash. They take a while to dry so they are washed first. Second wash is dark stuff (uniforms and work clothes). They are all put airers to be dried over night. Light wash in washing machine compiling of school tops and underwear, today we had a 2nd light wash of kids bedding. All light wash goes into the tumble dryer at this time of year. All underwear is put away by Princess. We sometimes go to town on Saturday, or visit family. On days when we go out we have a slow cooker tea (usually a chicken curry with rice and naan our, fakeaway) today's fakeaway is chicken and chips which is currently in the oven. While this cooks I prepared sandwiches for the week with the exception Of Friday which is treat day, they have a sausage roll. This was my most hated morning task, it's so much easier to prep everything in one go and pop it in the freezer. Saturday night involves ironing the dreaded school uniforms with pleated skirts and work clothes. Sunday's are started easily with a cup of tea, except on church days. If I don't have college work I tend to bake with the kids or do something creative. I make sure everything is sorted and ready to go for Monday morning. Everybody has a shower and are to bed at a decent time ready for school. I clean as I go during the week and if I have a bit of time on Sundays I will do a little decluttering. I was really good last Sunday and made a start on decluttering the living room bookcase. Christmas has come early for the kitties here. 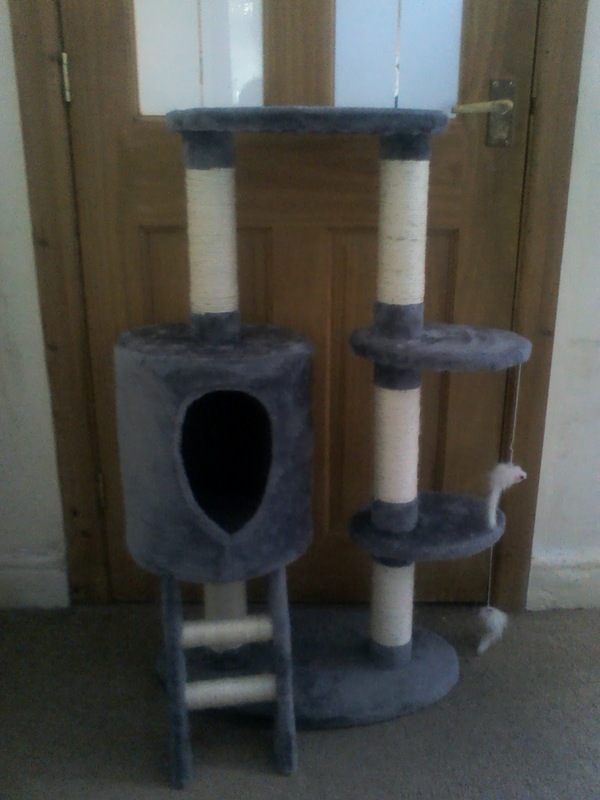 Their old cat scratching post was ruined by children sitting on it so we found a great bargain in this fabulous multi cat Albert Hall of cat scratching posts. It cost me £20 brand new off eBay they retail at £59.99. This arrived Monday and took me half an hour to put together. The weekends are always busy here as usual I have a lot to pack in. We have visitors coming today so I'm rejigging my usual routine. Washing pile (consisting of school uniforms and work clothes) this will be bunged in the dryer as I need them done and out of the way today. Tea will be a beef stew cooked in the slow cooker. Anybody else got a lot to pack in this weekend? If I get bored there is always the decluttering to crack on with lol.